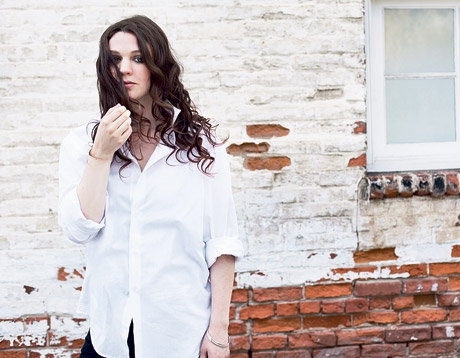 Amelia Curran will be performing at Huronia Museum on Thursday, November 18, 2010. This presentation is part of the Stellula Music in Schools initiative. The concert will begin at 7:00 PM with some student performances and Ms. Curran will begin at 8:00. Tickets are $16 for adults, $10 for students and can be purchased at Huronia Museum. Curran started playing guitar and writing songs as a teenager. Her first album release in 2000, and since then she has released four more. War Brides was nominated for two East Coast Music Awards: Folk Recording of the Year and Female Solo Recording of the Year. In 2009, Curran released Hunter, Hunter. She describes this album as “a little tougher than War Brides but it’s still minimal”. She explains that the title is “Hunter Hunter as opposed to hunter-gatherer.” This is the first album that she recorded in her home-town of St. John’s. Hunter Hunter earned Curran four nominations at the 2010 East Coast Music Awards; Female Solo Recording of the Year, FACTOR Recording of the Year, SOCAN Songwriter of the Year and Folk Recording of the Year. In addition to being a musician, Curran is also a playwright and actor, and has had her plays performed in fringe festivals. On April 17, 2010, Curran won a Juno Award in the category of Roots and Traditional Album of the Year: Solo.